Published: April 8, 2016 at 12:10 p.m. 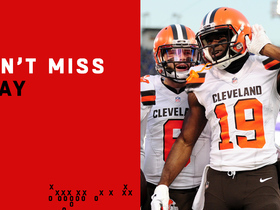 The temptation, after listening to a quieter, eyes-wide-open Robert Griffin III this week, is to assume that he is just a big-name placeholder until the Cleveland Browns can draft and develop his successor. It will be a surprise, after all, if the franchise doesn't use the No. 2 overall pick later this month on a rookie signal caller -- and so maybe Griffin's chance to be a starter again will be short-lived, at best. But if nothing else, Cleveland has given RGIII the chance to resurrect that lightning bolt of a talent that sent him on a meteoric entrance into the NFL ... and then on an equally astonishing tumble into oblivion. 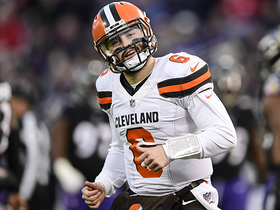 The Browns have provided Griffin with an opportunity to bend his career arc back to something closer to respectable, to make himself a viable starter again at only 26 years old. Griffin hasn't taken a meaningful football snap since December of 2014, and last year he was reduced to responding to questions about merely being on the active roster on a game day, about acting as Kirk Cousins' bullpen catcher even when Cousins was struggling with interceptions early in the season. Cousins steadied himself, put Washington into the playoffs and earned the franchise tag. Griffin -- who, remember, had been voted a better rookie than Andrew Luck and Russell Wilson -- was cast out, a victim of the fickle fortunes of the NFL and apparently his own desire to be something he was not. The book from Washington is that it was Griffin himself who wanted to be a more traditional dropback passer, despite that staggering and scintillating success of his rookie season. He didn't like being pigeonholed as a running quarterback. Griffin was not Cam Newton, who has embraced his spectacular gifts -- and his much larger frame -- to become the dual-threat quarterback of a coach's dream and the league's Most Valuable Player. Despite how he could take off and run, despite the mere threat of him with the ball in his hands making defenses hesitate, Griffin wanted to stay in the pocket. It was a reimagining that never worked, complicated by a devastating knee injury that shortened his preparation time. But this week, Griffin sounded genuinely different, maybe chastened by one of the oddest career paths the NFL has ever produced. And while last year he said he would do whatever Washington asked of him, this time Griffin sounds like he genuinely means it -- he will do anything that Hue Jackson asks of him. And the expectation is that Jackson, who has worked with a laundry list of quarterbacks with a variety of skill sets and employed a plethora of offensive philosophies, will almost surely use some zone-read plays with Griffin. "They ran zone read with Andy [Dalton] in Cincinnati, so I am sure it will be sprinkled in there somewhere, but that all depends on what we do best," Griffin said at his introductory press conference with the Browns on Wednesday. "If we are the best zone-read team all throughout camp, minicamps and training camp, then I guess that is what we will do. If we are not, then we won't do it. I am not afraid to sit in the pocket and throw the ball. I am not afraid to run the zone read. I am not afraid to do what is best for this team." The course of Browns history is littered with quarterbacks who arrived as rescuer and departed as irredeemable. But few of them possessed the combination of potentially explosive talent, sizable motivation and a resourceful coach. The 2012 season feels like so long ago that it is easy to forget not just how electrifying Griffin was, but by how very much he and the offense constructed to exploit him, carried Washington. The defense was ranked 28th. Griffin threw for 20 touchdowns and ran for seven more. He was the team's second-leading rusher with 815 yards. He completed 65.6 percent of his passes. Think the Browns wouldn't take anything approximating that output? 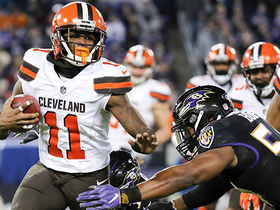 Mike Shanahan, who helped engineer that magic carpet ride and says that there are still only a few people on the planet capable of doing what RGIII did in 2012, thinks it is possible that Griffin can get back to that level of play, and that an offense he runs can have that kind of production -- if Griffin and the Browns are willing to embrace the read option, even if only to a very limited degree. Shanahan scoffs at the notion that defenses have caught up with the read option and points to Wilson's success with it last season. "You don't have to run it two or three times every game," Shanahan said. "Sometimes maybe you run it eight, sometimes none. Having it in your game plan, defenses have to prepare for it. You have to prepare for the play-action game off it. That's what they had to do in 2012. Russell Wilson may not run the read option one time in a game, but they have the threat of the read option and the threat of the running game. That really fits Robert's skills." Even when Griffin's running is limited -- on purpose or by circumstance -- he can still be effective. For evidence of this, Cleveland can look to the end of the 2012 season. With Griffin wearing a brace on his right knee in Week 16, Washington incorporated few of the rollouts and other movement the rookie QB had been using until then. He was, essentially, a pocket passer for a day. Washington beat Philadelphia that day, and Griffin ran only twice. 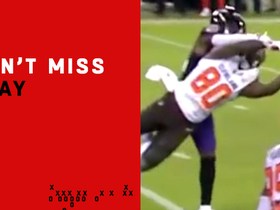 But he completed 16 of his 24 passes for 198 yards and two touchdowns, including a perfect touch pass to Santana Moss just inside the left boundary of the end zone. It might have helped lull Griffin and others into believing he could be a predominately pocket passer, but that ambition seems to have dimmed for Griffin. He joked this week about how in a drill he hit a perfect slide to protect himself, something NFL types have been worried about since he showed his reluctance to run out of bounds at Baylor. There surely will be adjustments required in Cleveland -- Who will be the running back in the Alfred Morris role if the ground game is to be emphasized? Can Griffin's style of play withstand the weather and physicality of the AFC North? -- but in what might be his last, best chance to be a starter again, Griffin finally seems to be getting the message about what is required of him. "I have seen the great and I have seen the really bad in this league," he said. "That is a very valuable piece of experience to have. I feel like that is what the guys are wanting from me, or at least what I've been told, they want to know how to turn it around." The Browns also have seen plenty of the really bad. If Griffin can turn himself around, he might be Cleveland's best chance to help the rest of the team do it, too.